Residents tell their stories at community news cafe | West Leeds Dispatch | News. Views. Get involved! West Leeds residents has lots of stories to tell at the third West Leeds Dispatch community news cafe get-together. 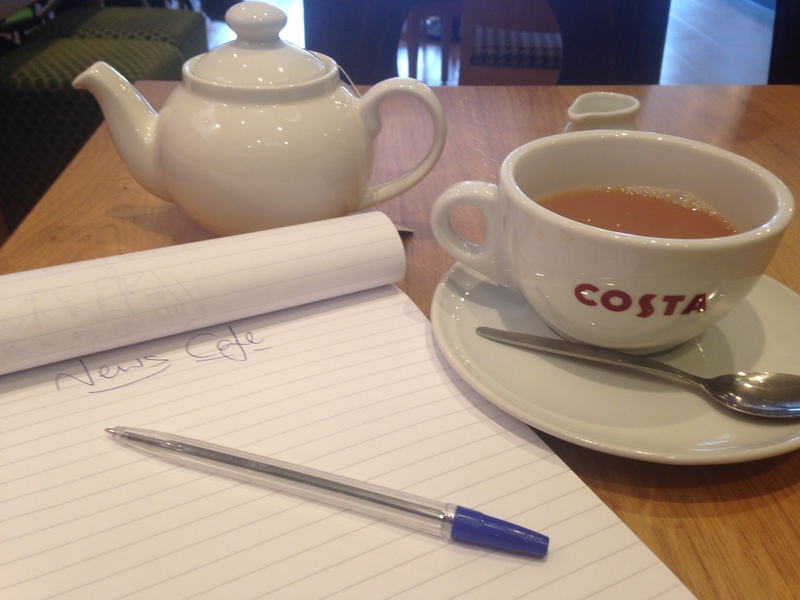 The get-together over a cuppa at Bramley’s Costa Coffee drew a wide variety of people eager to contribute to the Dispatch, tell their stories or come up with ideas. It was an inspirational hour and great to meet so many different people willing to put something back into their communities. Local residents Sue Margaret and Daniel Tavet came up with the idea of using photography to highlight the people and/or places of Bramley. Sue suggested a ‘Humans of Bramley’ feature, inspired by the Humans of New York project in the US which features people taking photos of their fellow residents. Photos are taken in the street, parks, community centres etc and a few words added about who those people are and what makes them tick. There’s a wonderful Humans of Leeds site too, which we never knew existed until yesterday! Anyone interested in being a part of this local project? Drop Sue a line via news@westleedsdispatch.com. It was good to meet Glenn Broadbent, who was full of enthusiasm for the West Leeds High School Old Boys Society and about the rich history of the school, which is now flats. Glenn also spoke about the regular meetings of the Armley and Wortley History Society and some of the work members have been carrying out. Expect regular reports on these two groups to appear on The Dispatch in the coming weeks. Glenn also spoke of his passion for West Leeds RUFC, who play on Blue Hill Lane, Wortley. Glenn’s kindly agreed to write match previews and reports for The Dispatch and also provide details of the important refurbishment work at the clubhouse. Rodley resident John Barker also popped in to tell us about some of the projects he’s involved with. 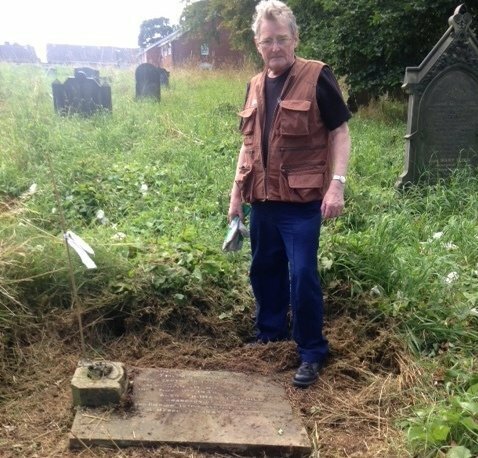 Regular readers will know of his work helping to tidy war graves at Bramley Baptist Church? Well, that work continues and pupils from Leeds West Academy have been working on making name plates for the war graves to coincide with Remembrance Sunday. The plates will be placed on the graves on Friday and John’s providing us with photos of the event. As John says, it’s great to see the younger generation connecting with this kind of community initiative. The volunteers have also recently uncovered another four war graves in the cemetery. John’s also working on an innovative new project mapping the thousands of graves which no longer have headstones at St Peter’s Church in Bramley. There’ll be a full report on Monday on that. And he’s also looking forward to the forthcoming Remembrance services at the new Bramley War Memorial, which this year will also include religious leaders from the Jewish and Muslim communities. All in all, it was an interesting and inspirational hour or so which we hope to repeat again soon! Don’t worry if you missed Friday’s news cafe. You can contribute articles, photos, multimedia and ideas by emailing us at news@westleedsdispatch.com or tweet us @wldispatch. We can also help you put your articles together.